When trying to secure loans, military personnel often make mistakes throughout the process. Here are some of the most common mistakes associated with military personnel loans. There are many different military lenders out there, and you need to make sure that you shop around before you agree to work with one of them. They are all different, and they have their own interest rates. This means that if you want the best deal, you are going to have to do some work and look around a bit. Many people also agree to unfavorable terms when they sign up for a military personnel loan. For example, they will sign up for a loan that requires them to make interest-only payments. By doing this, they can get a lower monthly payment, but they are going to have to pay a large balloon payment at the end of the long term to retire the balance. Many military personnel loans do not require a credit check. However, if you have good credit, this is not going to be to your advantage. 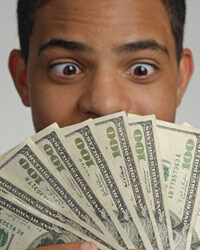 You want to get a credit check so that you can get a better interest rate from your lender.